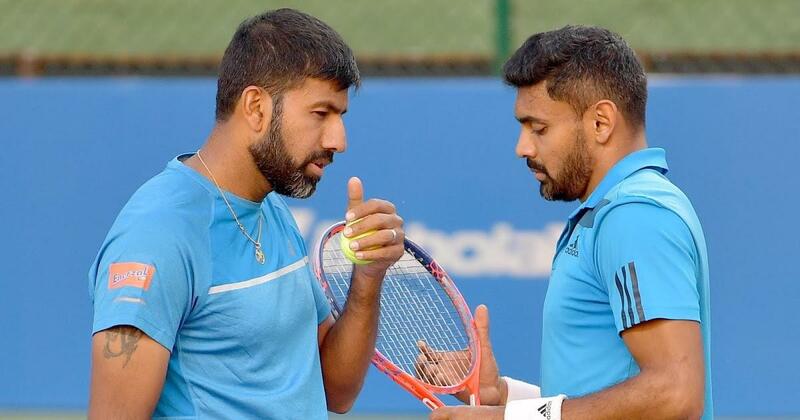 New Delhi, Feb 9 : Indian men's doubles pair Rohan Bopanna and Divij Sharan progressed to the semi-finals of Sofia Open in Bulgaria beating Bulgarian pair. Bopanna-Sharan defeated Bulgarian pair Alexander Donski and Alexandar Lazarov in straight sets 6-3, 6-1 finishing the game in 50 minutes. They next face Indonesia's Christopher Rungkat and Hsieh Cheng-Peng of Chinese Taipei in the semi-final. In another semi-final match, Jeevan Nedunchezhiyan and Purav Raja were edged out by Nikola Mektic of Croatia and Jurgen Melzer of Austria 7-5, 6-4, 5-10 to end the game in one hour 29 minutes. In a similar ATP event in France, Indo-French pair of Leander Paes and Benoit Paire lost to Croatian pair Ivan Dodig and Edouard Roger-Vasselin 3-6, 6-7 in the semi-finals the match lasted for one hour and 20 minutes.